I’m sure at this point you have heard all the hype going around about turmeric and how it is a "go to" for health food fanatics all over the web. After reading up on it and checking my sources I thought it was about time for me to jump on the turmeric wagon and see what all the commotion was really about. The key ingredient in turmeric is curcumin. Curcumin is poorly absorbed into the bloodstream hence the reason black pepper comes into play when creating some tasty turmeric recipes. As mentioned by good ol' Dr. Axe, there are many benefits to incorporating turmeric into your diet. 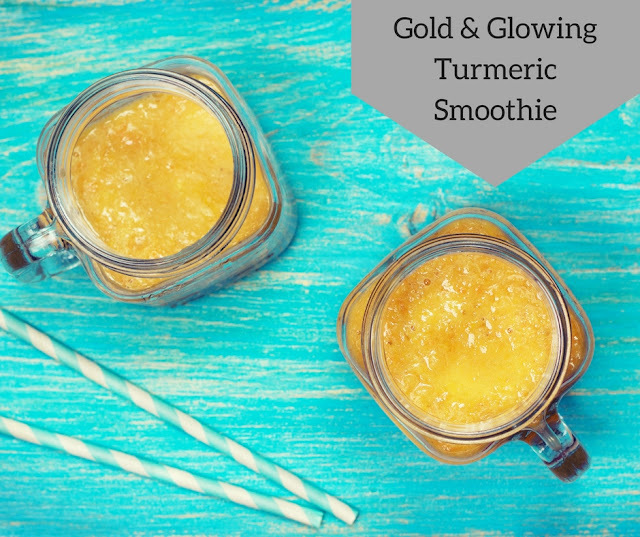 After reading the full list of turmeric benefits it was time to concoct a smoothie reciepe perfect for post early morning workouts that tasted just as good as it is for you. Blend all ingredients together in your blender and enjoy!